The craft of songwriting has become devalued in mainstream music these days, but there remain talented individuals out there waiting to be found. One such is Dean Owens, Leith-based singer songwriter with a fine line in heartfelt Americana mixed with more traditional folk influences. This, his third solo album is lovingly constructed and consummately executed, showcasing Owens’ deceptively simple style and his unerring ability to tap into something universal which strikes straight at the listener’s heart. It is a skill he shares with fellow Leithers The Proclaimers, or more distantly, with the everyman musings of Bruce Springsteen, and Whisky Hearts brings both artists to mind, while at the same time being brimful of its own inimitable character. As with Owens’ previous work, there is a range of atmosphere and styles, but it’s when he’s in his most contemplative moods that his songs work their best magic. ‘Raining in Glasgow’ has the feel of a low-key anthem about it, the kind of thing the whole of Scotland could take to their hearts, while the more folk-flecked title track manages to channel a hundred years of homespun truths into a sumptuous three and a half minutes. Even better than that, though, is ‘Man From Leith’, a song which could come to define Owens. 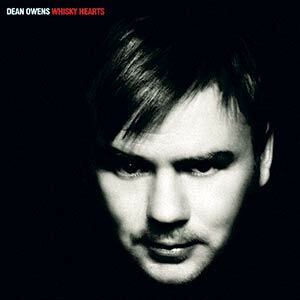 A deeply personal and moving song about his father, it manages to be specific, yet universal, small in focus yet huge in scope, a truly wonderful piece of work which crowns a fine album and confirms Owens as an impressive talent.